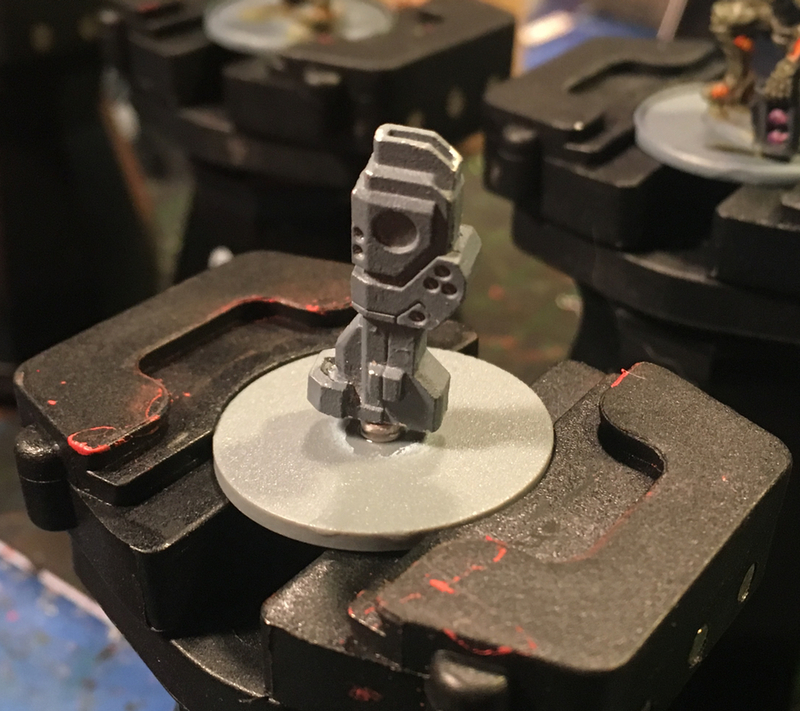 So one of the models that I am in the midst of painting is a Ghar Rebel Attack Crawler that comes with three different weapon options. 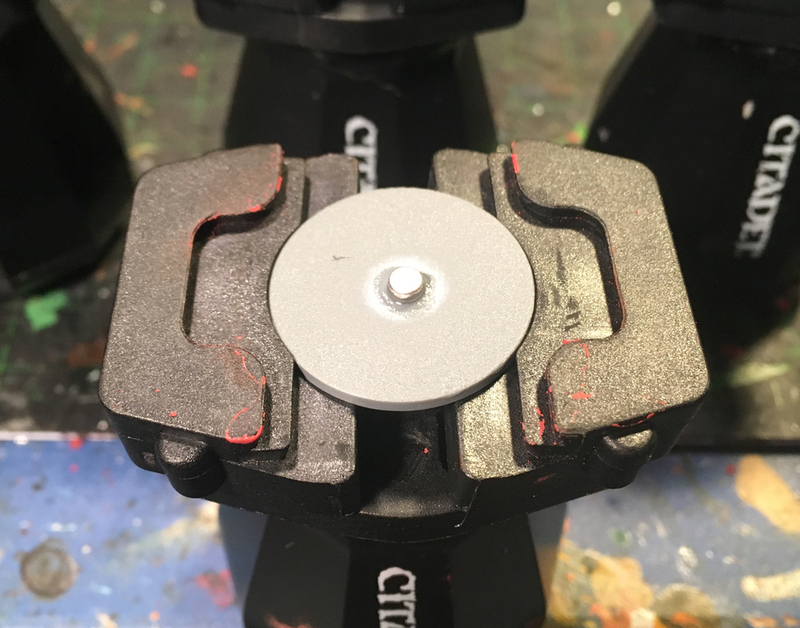 I’ll talk about the process of magnetizing that model later but what I wanted to discuss was a small tool I made to make it easier to paint the weapons that I will be adding to the Crawler. When I painted the weapons on the Ghar Crawler I held the weapons and painted half of the part each time. That isn’t going to work this time since the weapons are smaller and they come in pairs. I have six smaller parts that I need to paint and I also want to be able to paint some highlights on them as well. 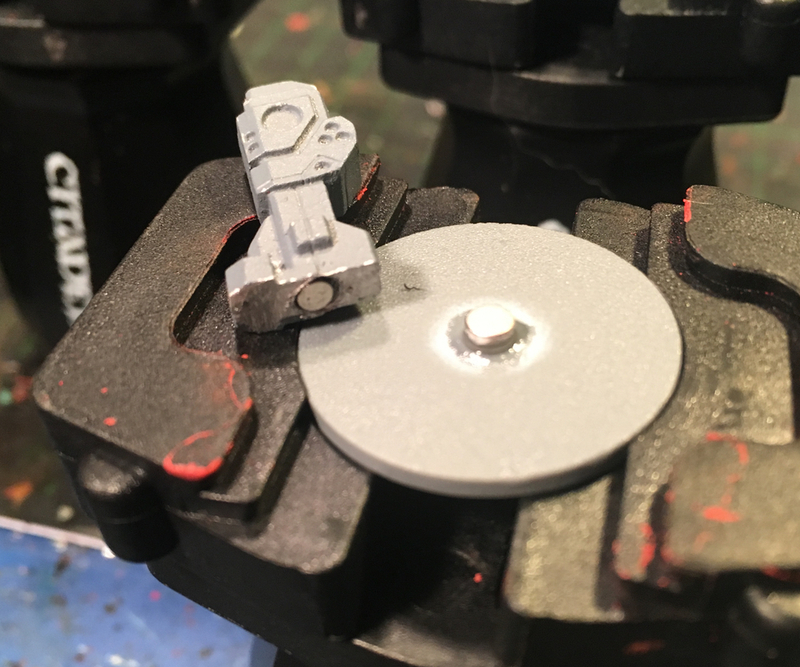 So to do this, and use the paint handles I have, I took some spare, flat, 25mm bases and, using my magnet tool, added magnets to the bases and now I can ‘snap’ the weapons to the base and paint them in the paint handle.